Home All Articles Will Schumi be a force in 2011? Will Schumi be a force in 2011? Welcome to another edition of The Scrutineering Bay, a roundtable discussion of the burning issues of Grand Prix racing. The premise of each edition is very simple; each week a hot topic will be selected and thrown at four unsuspecting writes here in the Sett, with each participant giving their thoughts and opinions on the matter at hand. It’s a bit like Question Time, but with actual answers and a little less stuffiness. Does he still have the ability to do so? Yes. Will all the puzzle pieces fall in to place to allow him the opportunity? That’s a tougher question. But what can be said is that a lot will hinge on the tyres – specifically the front tyres – produced by new supplier Pirelli. More than most, Michael likes a grippy front end to his car. He expects it to do the work for him as he turns in to a corner and then places the responsibility for getting the back end through on his own shoulders. However the 2010 Mercedes, shod with Bridgestone tyres, didn’t allow this driving style to pay dividends. The MGP W01 suffered from inherent understeer, something Michael has absolutely no love for. Unsurprisingly, it was a trait absent from the 1994-95 Benettons and the all-conquering Ferraris of 2000 through 2004; he hopes – prays, in fact – that it will also absent from the 2011 Merc. There’s certainly good news on the tyre front as Pirelli have decided to go down the grippy front end route, producing a tyre that will discourage understeer whilst perhaps encouraging a little oversteer – Michael’s dream scenario. If this is the case and if the new Mercedes is capable of fighting at the front then there is no reason why Schumacher cannot once again challenge for top honours this season. Will he win it? It’s a huge ask, but I for one suspect he will take victory number 92 during the coming season. Were there a championship for over forties, he’d win it hands down. Unfortunately for him, things have moved on a bit since he retired the first time around. He’s now got a young, hungry team mate (who’s actually allowed to have a bit of a scrap with him), a team that isn’t completely built around him and he’s lost that…aura he had when he was winning. We all remember it – it’s the same with all great sportspeople. Roger Federer had it, so did Tiger Woods. They don’t even need to do anything – simply by being there they intimidate the opposition. People think they need to smash every ball harder, hit their golf ball further, or drive the car to the absolute maximum all the time. That’s how mistakes happen. Part of his success was being a brilliant driver and part was a self-fulfilling prophecy. He was great, people thought he was great, they pushed too hard to make up for his greatness, and he took advantage wonderfully. He, simply put, doesn’t have that any more. 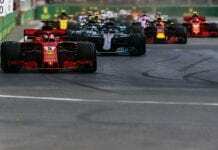 Even if Mercedes produce a car capable of winning races (which they surely will), will it be enough to sustain a title push against the likes of Red Bull, McLaren and Ferrari? No, it won’t. 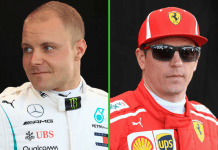 It’s good to have an F1 Championship where it looks like all four teams have a chance but, of the eight drivers in those teams, Massa and Schumacher definitely occupy the bottom end of the scale. The magic just isn’t there any more. Ben raises a great point and stands by it; the invincibility of Michael Schumacher that was once there is gone. Do today’s drivers simply not fear him anymore? Schumacher (not Ralf… or Joel) does indeed stand a good chance of going for the championship in 2011. He’s had a year to settle back in to grand prix racing, there’s a good chance Mercedes GP will produce an awesome car and let’s face it, only Rubens Barrichello has raced in more Grand Prix that the most successful man in F1, so Michael’s got one over nearly all the current grid in experience too. Now, this is all great, but if gets up to any of the tricks he was playing last season, the low point being when he pushed Rubens into what could been a massive accident with a concrete wall. As Editor of Badger I’ll personally write to Ross Brawn and request Schumacher be replaced with one of the many young guns waiting in the side lines. 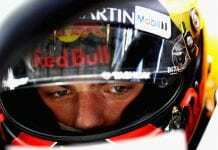 F1 one has no place for unsafe driving, let alone ridiculously naughty, non-sportsman-like driving. Keep in clean in 2011 Michael and you stand a chance of the title and polishing up your reputation, which is becoming a little tarnished. I am not a Michael Schumacher fan. There, I said it. Yes, he’s the most successful man in the sport and is considered the greatest, but there are too many black marks next to his name for my liking. At this current point of his career he reminds me of an old boxer that keeps climbing back into the ring. He just doesn’t know how to do anything else. Back on point. The 2010 season may have been poor for old Schumi, but the excuses are in place. The Mercedes car was an evolution of Brawn’s title winning car with an even low budget, and predominantly designed with Jenson Button’s driving style in mind. The fact he didn’t like the balance from the Bridgestone tyres was the one he used the most, which was then the main media focus during the Pirelli tyre test as Nico Rosberg tried them out. The media then asked Rosberg if the new tyres would suit Michael. How Ridiculous. The answer to the question is a plain “yes”; Schumacher could be a 2011 title contender. The Mercedes team have focused on this year’s car and it shouldn’t disappoint. But does he really need to be? His time was glorious and record breaking, but that was years ago now. 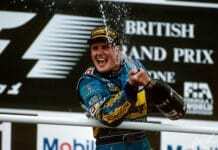 Formula One is an ever evolving sport, and Michael Schumacher unfortunately just a relic of the past. If the success isn’t there this year, the second retirement could be just around the corner. If there’s one thing that’s remained constant throughout the history of Michael Schumacher, it’s that he divides fans straight down the middle. Even though in the Sett he isn’t as revered, but in some corners of the sport he still is. If he is indeed sat in a decent Mercedes this season, he might just be too good to ignore. Previous articleBadger featured in Autosport!